We can’t all expect to have great training weeks right? 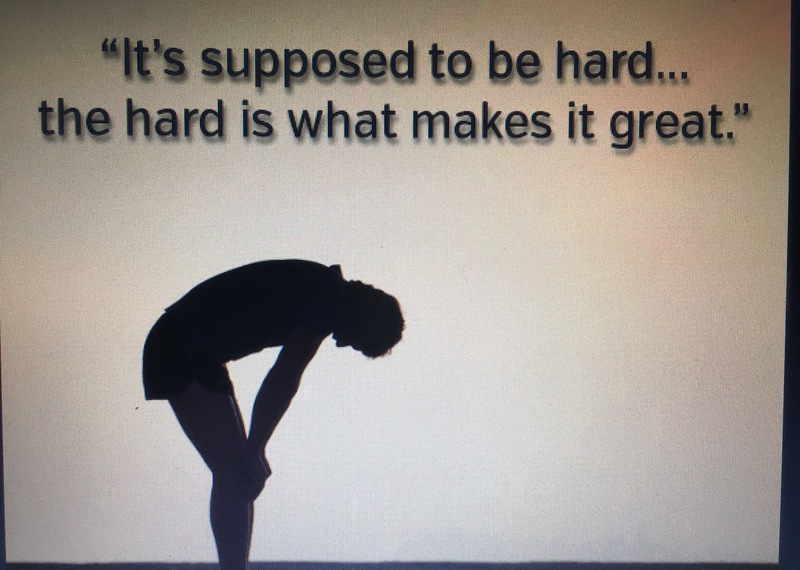 What we do need, is to learn from those bad weeks so we can push on and build upon our training in future weeks. So as you can expect from that lead in, I experienced some major low and high points this past training week. I went into this week excited with my marathon training kicking off and some very high expectations for 2017. What I didn’t expect was how I would feel about my training come the weekend. Let me expand on that thought. In my last year of marathon training, and my first 2016, I have heartedly followed a training plan. I followed the weekly mileage, but did not incorporate any intervals, tempo, or marathon paces runs in. Everything was marathon pace. So 2017 was going to be different! I had a plan! I incorporated those various runs into my plan. Well lets just say after the first week I found myself following those same bad habits from last year. My major low!!! Monday: Cross Training day where I did core work. Wednesday: Snow gone due to the rain and blessed with 50 degree temps. Short time so I went for speed work. 5 miles at a 7:30 min/mile pace. Thursday: Decided to get out and burn some steam off with a 4 mile run at a 7:42 min/mile pace. Saturday: Couldn’t force myself out of the bed early enough for the 16 mile run I had planned. Daughter was sick, but I still got out and ran 5.5 miles at a 7:32 min/mile pace. So where was the high point at? 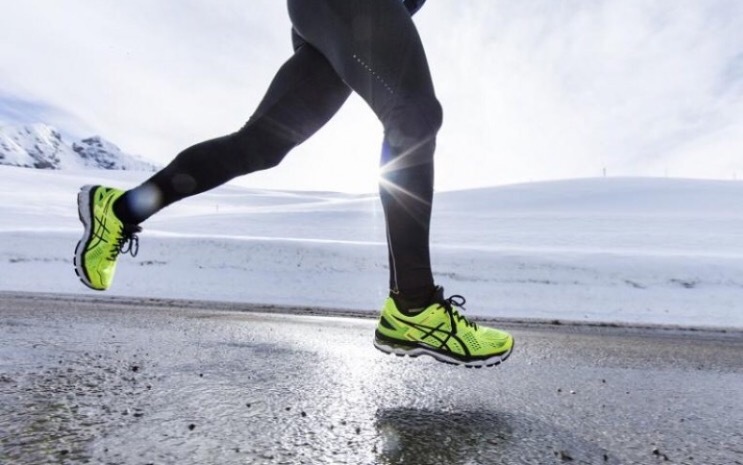 Well after talking to a few coaches this week, we landed on the simple fact that not incorporating or following a true plan was affecting my marathon training negatively. Therefore things must change for me to surpass the goals I set in place. So I set down and signed a contract with my family that I would follow a training plan to the T. Speed work, interval, tempo and hills to achieve my goals. I can’t wait to see where my dedication and new plan takes me. 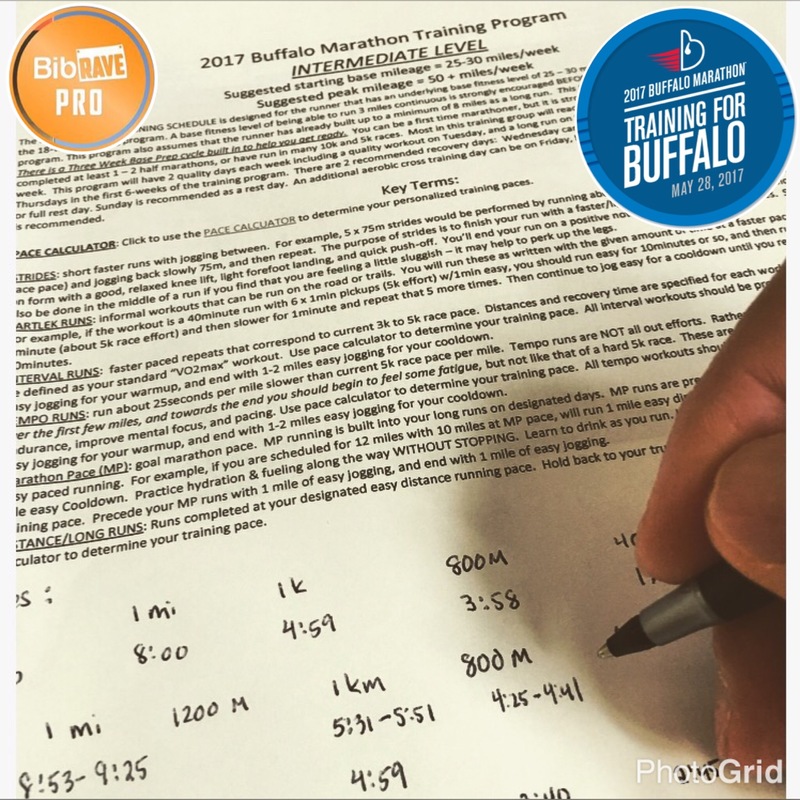 Be sure to check out the Buffalo Marathon page to check out the Race Day Experience hosted by Bart Yasso. Also don’t forget to register before prices increase at the end of the month. Save $5.00 for any race distance using 2017-BibRave-MM when checking out. We are under 100 days for the Glass City Half Marathon and to say I am excited is an understatement. It will be a tough week, with me following up with a marathon the next Sunday. Save using brpsavings for $5.00 when checking out. How Do You Handle Cold Temps?